Fall is here with cool weather and snow in the forecast, you want to get ready for winter storage. The friendly faces at Amherst Self Storage in Belchertown MA can help you with your long term storage needs. Some of our customers store for just the cool season and some store the whole year, either way prepare your items, both big and small for the storage unit. Do not worry–we can help with that! Regardless of the weather, long-term storage is a great option for those who are home searching or growing their business. Our self-storage experts have answers to your storage needs. Even though our location is drive up accessible and has interior storage, the spare vehicle still needs a little attention before the first snow. 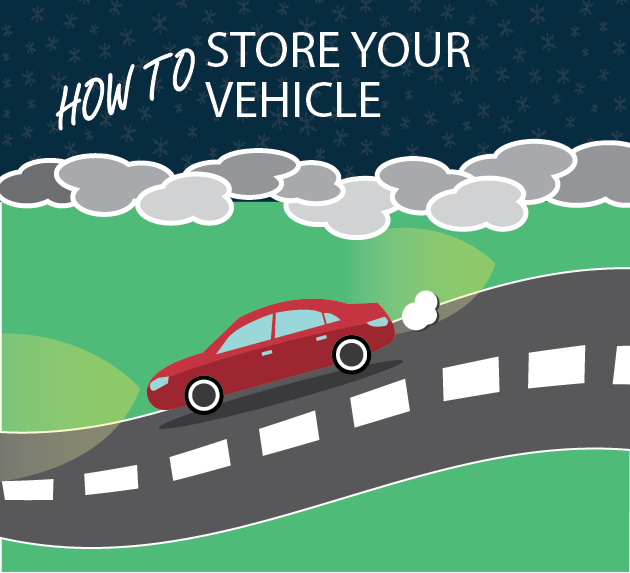 Below are some great tips from our experts at Amherst Self Storage to help you in the preparation of storing your vehicle. Find a vehicle cover that fits over the whole car. Avoid using heavy tarps, as these do not allow proper air flow. For your peace of mind, take care of the car cosmetically. Wash, wax, and dry the exterior while also detailing the interior. Is your car sitting for more than 30 days? A fuel stabilizer is a must! After sitting for a few weeks tire pressure may start to decrease, therefore causing a flat tire. Put a little extra pressure in each tire or put the car on stands to alleviate the pressure. Insurance is still needed even if the car is sitting for a season. If you decide to lessen the insurance for a season, do not forget to reinstate the former policy come spring. Outdoor and indoor parking for vehicles generally have the same rules and Amherst Self Storage can guide you along the way. We take pride in being able to store your most valuable items, but for items like cars and RV we are happy to offer the self storage tips you may need. Do you think you will need long-term storage for your personal belongings? Call us or rent/reserve online today!